About Us – Welcome to Tyrida! 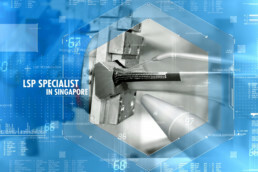 Tyrida International is a Singapore based company that specialised in the field of laser enabled surface enhancement engineering and techniques. As a high-tech service provider for Laser Shock Peening (LSP) Technology, we offer solutions to prevent premature failures of critical metallic components due to fatigue, corrosion, wear, galling and fretting. 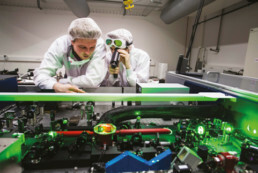 Tyrida’s proven technology with its in-house developed laser configuration and unique processing software; together with the strict maintenance of industry quality standards, have enabled the high value-added application of its services across many product range, especially for the Aerospace, Automotive, Energy, Manufacturing and Medical Industries. We believe that our products and services would ultimately help many companies improved operational efficiency, product safety and profitability through cost-savings that are derived from product life-cycle enhancement. we are proudto be the only foreign company which isauthorized by GE to provide LSP processing service. Tyrida is committed towards excellence in both technology and services; and will strive to be a market-changer and provider of advance solutions for metal treatment and surface enhancement.